Note: The prices below already reflect the DISCOUNT. Grow your business Locally! 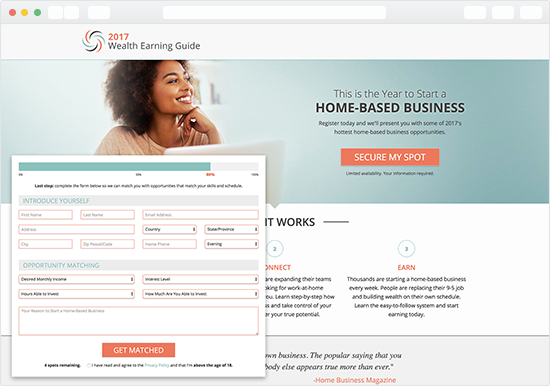 These semi-exclusive Local Prospects are delivered to you in real-time from up to five area codes you wish to target. Options available to select by Gender and to send (redirect) the lead to your personal website. Manage Your Area Codes - to match your targeting strategy. No additional charge for area-code specific sorting.